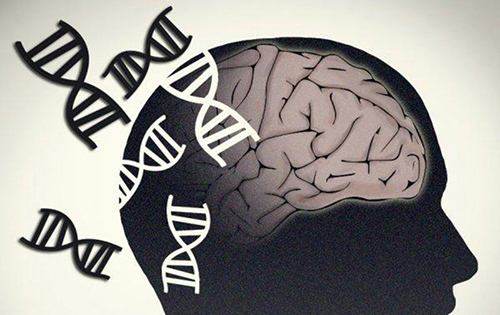 The overwhelming majority of Parkinson’s disease (PD) and Alzheimer’s disease cases that occur are sporadic—caused by a complex mix of environmental and shared genetic factors. These types of interactions are notoriously difficult for scientists to study, which is why most research has focused on familial cases that have much clearer genetic origins. Now, investigators at the Whitehead Institute have determined how a noncoding mutation identified in genome-wide association studies (GWAS) can contribute to sporadic PD. The researchers are hopeful that their novel approach will be helpful in analyzing future GWAS results for other sporadic diseases with genetic causes, such as Alzheimer’s, multiple sclerosis, diabetes, and cancer. “This is really the first time we've gone from risk variants highlighted by GWAS to a mechanistic and molecular understanding—right down to the nucleotide—of how a mutation can contribute to the risk of developing disease,” explained senior study author Rudolf Jaenisch, M.D., Whitehead Institute founding member and professor of biology at MIT. Scientists often view GWAS as a treasure trove of genomic information marking the general locations of mutations that could be risk factors for a given condition. Yet, GWAS do not reveal the precise locations of potentially pathogenic mutations, nor do they indicate how a particular locus on a genomic map contributes, if at all, to a disease. For instance, in sporadic PD, multiple GWAS have pointed to the α-synuclein gene (SNCA) as one of the strongest risk loci in patients' genomes. However, the GWAS contain little information regarding the mechanism of how this gene is dysregulated in sporadic PD patients. To determine if distant gene regulatory elements on the same chromosome carrying SNCA affected cellular levels of α-synuclein, the Whitehead team investigated two GWAS-flagged risk variants located in a putative SNCA enhancer. The researchers then used the CRISPR/Cas9 genome editing system to modify the mutations into isogenic human pluripotent stem cells. By altering the genetic variant on only one chromosome, the other chromosome remains unchanged and acts as an internal control. This method allows the scientists to measure very subtle effects with very high confidence while eliminating the effect of any genetic or epigenetic modifications and cell culture related variations that could occur during the experiment. Once the Whitehead team differentiated the stem cells into neurons, they took careful note of the changes in SNCA expression. While one of the mutations had no effect, the other, which switches one nucleotide from an A to a G, slightly but significantly, boosts SNCA production. When compared to the enhanced SCNA production in the familial form of the disease, the modest effect created by the A-to-G mutation would be sufficient over a lifetime to increase the risk of PD, the researcher postulated. To see how the mutation affects α-synuclein production, the researchers identified two transcription factors that bind to the enhancer carrying this mutation. When the enhancer was not mutated, the transcription factors bind to it normally and suppress SNCA production. If the enhancer had the G mutation, the transcription factors were unable to bind to the enhancer, and SNCA production is activated. The research team was excited by their findings and looking to apply their novel technique used to pinpoint additional pathogenic genes for sporadic PD and sift through the GWAS hits for other diseases.